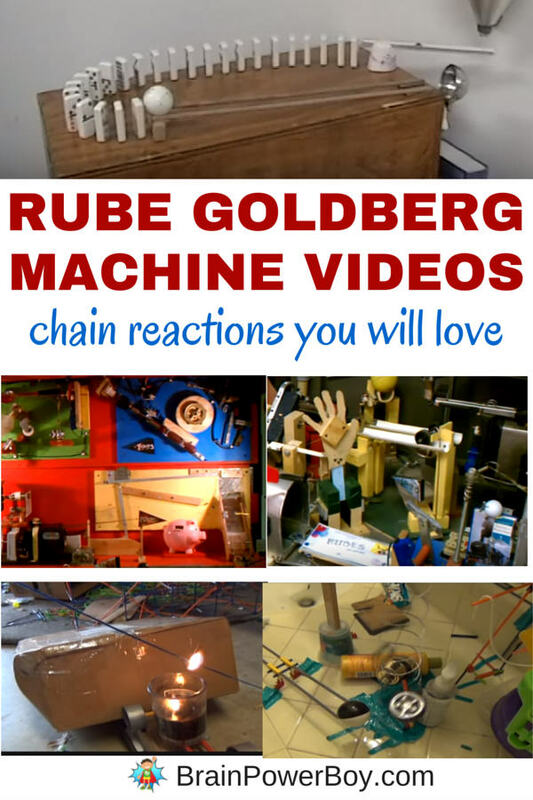 Some time ago we wrote an article sharing some cool Rube Goldberg Machine™ videos and we are back again today with more videos. These are so much fun to watch that every once in a while I go through and find a bunch that my son and I can watch together. Since I know some of you are also into Rube Goldberg, I am sharing them here as well. If you like these, be sure to check out our other Rube Goldberg ideas! There are a lot of neat and educational things you can do surrounding these awesome contraptions. This machine is a commercial that was done for Target. It is very clever and uses veggies, kitchen utensils and appliances to create a Rube Goldberg Machine™ that will serve up a slice of tomato on a hamburger. This one is not flawless. They had to help it along in a couple of places but it is amazing none-the-less. I was intrigued with all of the different ways they used to keep the Rube Goldberg machine™ going! It runs through their whole house and out into the yard. Here is a domino chain reaction with several popular characters in it. I think the kids will really like this one! Here is a super Wallace and Gromit: The Wrong Trousers: Crackling Toast! cartoon to watch! I wasn’t able to embed this video into our article so you will have to pop over to YouTube to watch it. Wallace and Gromit cartoons always have clever machines in these and I think it is one of the reasons they are so popular. We really enjoy Rube Goldberg Machine Videos! Hope you enjoy them as well. See all of our Rube Goldberg Ideas here.